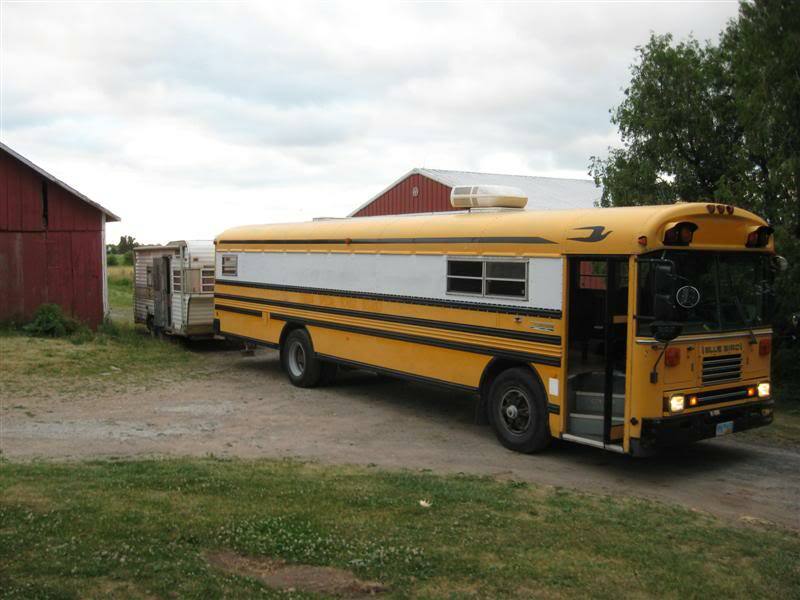 Looks like the maiden voyage of the bus is going to be in a few weeks to my annual MV (military vehicle) / offroading trip at Haspin Acres in Laurel, IN. A few friends and I go to this rally every year with the MV enthusiasts group "Steel Soldiers". We take the jeeps and 6x6's into the woods and put them through their paces. My friends and I also drag our modified lawn tractors out there for some rough trail riding through their approx 800 acres. The bus won't be nearly complete by then, but I'm going to get as much done as I can. It is approximately a 200 mile trip to the park, so no sweat after the trip to go get the bus, right? Haha! good luck,I have been wanting to go to that event for awhile. Our bus did great on the 400 mile round trip! Bus appears to have gotten about 10 MPG towing my friend's camper. My math was inaccurate, however: I was sucking fumes when we were preparing to leave -- I know... don't do that with your diesel (shaking finger). I put about 40 gallons in and still had a bit to spare when we got home. Got to hang out with a lot of cool people and, since they held up the best ever, ran about 30 gallons of gas through the racing/offroading lawnmowers. i got one of them runs out about 75 mph so get in sit down and hang on b/s 18 hp.. The sheetmetal work on the windows looks really good! Those mowers will flat scream! Wish I had the time I would be into that too. Ours can do about 45 mph on the open flat, but they can also climb a pretty mean slope out in the woods. We could make them go faster, but we really like the well rounded race/offroad profile. The frames are tough enough to take at least mild jumps (although, with no suspension, we tend to avoid that). 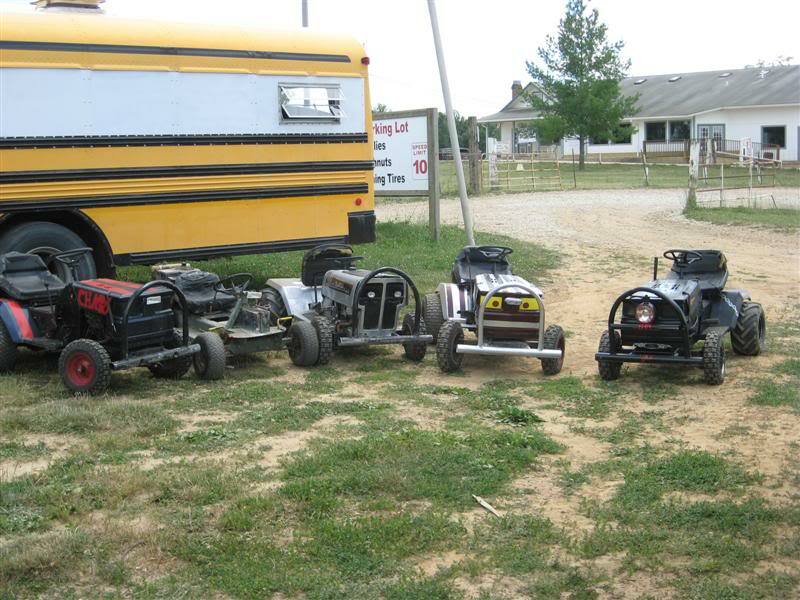 That forum is unfortunately populated mostly by teens, but it was the closest thing we could find to what we are doing with our tractors.